There are plenty of reasons why playing field hockey is awesome, but today, we’re going to focus on why the sport helps keep you healthy. Not everyone enjoys rigorous exercise, so it’s important to find an activity that you enjoy doing. This way, you won’t be constantly thinking about when you’ll be done with any particular exercise because you’ll be too busy enjoying it! Field hockey brings a number of health benefits to all those who partake in the sport, but we’ve narrowed things down to the following five. 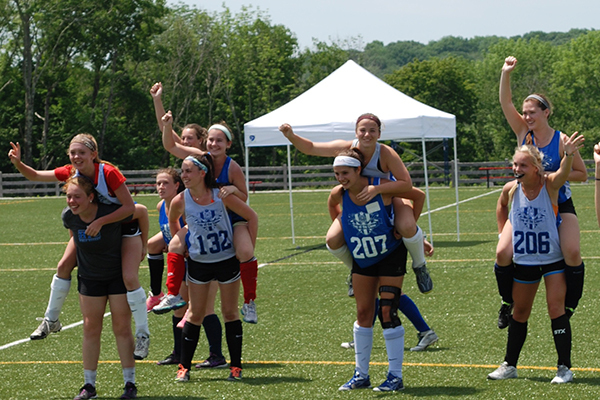 During practice or a field hockey game, you’ll likely be running up and down the field constantly. This consistent use of energy and muscular strength will help develop your cardiovascular system and also get a ton of oxygen through your blood. Having this all happen will help your breathing be even better than what it was before. 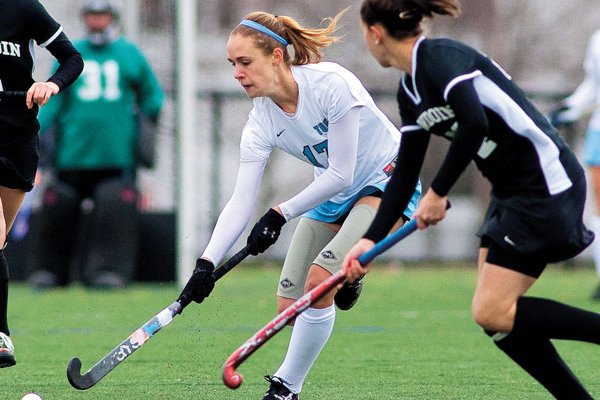 Every field hockey player is incredible at multi-tasking and at any given point throughout a game, they’ll find themselves in a number of different positions. Being quick to react is a necessary ingredient toward success since you’re expected to pass and receive the ball while on the move. Not only will you see improvement in your agility and balance, but it’s only a matter of time before your hand-eye coordination gets a boost, too. Remember when we talked about constantly running up and down the field? Well, as it turns out, that’s a pretty good cardio workout! While it feels like you don’t stop running for the entire game, there are moments where you get a short break before getting back on your horse. This is a form of high intensity interval training (HIIT), which is an even better cardio workout that burns more calories. Just when you think field hockey couldn’t get any better for your body, it also helps you build strength. If we’re being specific, your legs and core benefit quite a bit from this physical activity. We’re not kidding when we say this is the epitome of a full-body workout. No muscle group will be left behind! When you’re first building up your physical endurance to withstand a full field hockey game, everything seems physical. But once you reach a level in which your body can deal with the rigors of a game easily, it then becomes mental. Instead of trying to will yourself down the field, you’re running and making decisions while also forming strategies to beat the opposition or the defender in front of you. These kinds of skills help athletes everywhere – on the field, in their personal life, and once they get out in the “real world”, their professional life.